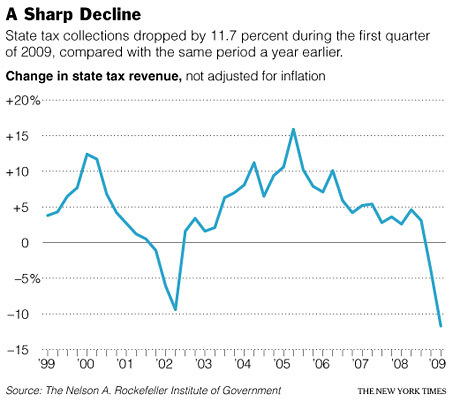 State tax revenues aren't just plunging - they are collapsing. 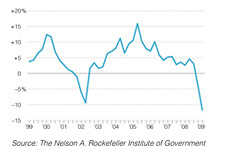 According to the Nelson A. Rockefeller Institute of Government (link below), overall state tax collections fell 11.7% in Q1 2009 from the year before. This includes sales tax, personal income, corporate income and total state tax collections. According to the Institute, this is the largest such decrease since at least 1962 (the Institute compiled historical data from the Census Bureau Web site back until 1962). 1. "After adjusting for inflation, legislative changes, and known anomalies", tax revenues were lower in 47 of the 50 states. 2. Personal income tax revenues were down 17.5% from the year before. 3. Q2 2009 is looking to be even worse (in terms of overall % drop) than Q1 2009. 4. State tax revenues fell to levels "last seen in 2005". 5. Corporate income tax revenues were down 18.8%. 6. Economic activity is declining in 49 of the 50 states (North Dakota is the lone exception). 7. Alaska experienced a 72% drop in tax revenues from Q1 2008 (due in large part to the drop in oil prices). California saw a 16.2% drop, while Michigan experienced a 16.5% drop. Given these numbers, is it any wonder that 48 of 50 states were facing a fiscal deficit this year? The plunge in tax revenues across the country since 2005 has been stunning, to say the least. 1. 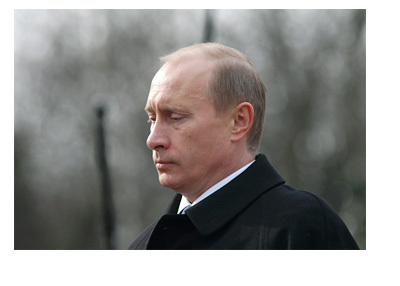 Draw from a "rainy day fund" (reserves). Many states are currently having to make some very hard choices. Things are so bad in California that legislators still haven't come to an agreement on the best way to fight the massive deficit that they are facing this year. People are pretty pre-occupied with all of the moves that the federal government is making to resolve the financial crisis. However, the collapse in state tax revenues can't be ignored, and this will have huge implications going forward if things don't start to improve soon.